Ad Break #5 Delia, Kev, Facebook and Flash! Delia Smith was once one of the UK’s most influential people. She only had to recommend a saucepan or a pastry and millions of people would go out and buy them. Her books were best sellers and she occupied the sort of exhaulted position that is now the province of Mary Berry. Then after a couple of curious series about going back to basics and using tinned items she packed it in to focus on Norwich City football club of which she is the main shareholder. Famously in 2005 she took to the club’s PA to encourage the team shouting “Where are you? Where are you? Let’s be having you!” Perhaps EE believe her influence can still affect millions as they’ve hired hire to co-front their latest ad alongside the ubiquitous Kevin Bacon. Kev, last seen in David Mitchell’s family car in a safari park, can seemingly appear anywhere yet only be seen by one person. Here he wanders into Delia’s kitchen clutching a bunch of carrots. She’s watching football while stuffing a chicken and managing to also shoehorn “Oh, where are you? Let’s be having you!” into the scene. 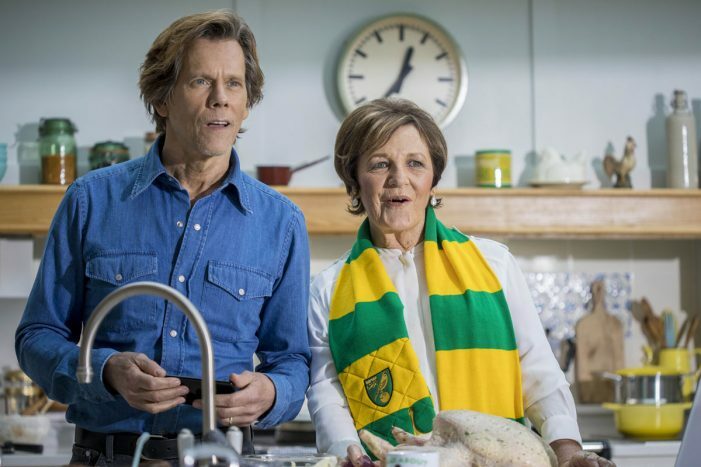 She’s even wearing a Norwich City scarf! Reviewed by Chris Arnsby. John Peel: "Howdy pals. 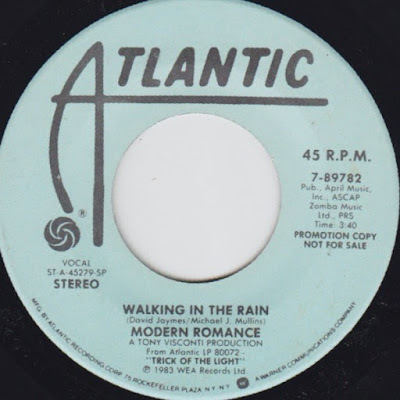 Sure am glad you could mosey on down for another Top of the Pops. We're live again this week, so far." David Jensen: "That's right Sundown. Hope you're comfy as we launch into another Top of the Pops with Modern Romance." Dirk Gently’s Holistic Detective Agency’s first series is something I reckon Douglas Adams would approve of. Though not a direct adaptation of the books the show successfully employs the sort of high vaulting concepts Adams relished. Souls being transferred between animals and humans, a time travelling device being built by a Victorian inventor, a mystery inhabited by a mixture of eccentric characters. Plus, even though the show was shot in the US, Dirk Gently is played by an English actor which of course he should be. There are times- especially later on- when Samuel Barnett’s fast talking as he races around a control room could be an alternative Doctor Who but the TV series was always an influence on Adams and appears to be on Max Landis’s script too. My latest YA novel Blue Sky Black is now available in either print or kindle ebook formats from Amazon. For a reasonable price! The book is the fourth in the Heart of the World series telling the story of Tom Allenby, a boy who can manipulate the elements and lives in a village above where the planet’s elemental energy is stored. He is the caretaker- tasked with saving the Earth from those who would try to use the energy for dark purposes. This novel features strange magnetic disturbances, birds that can fire light, a dangerous environmental group and an antagonist with an incredible plan for the world. People could never influence or ostracise someone as much as they can nowadays and it is the Internet’s unexpected by- product. Online people become super famous but also lose that success instantly because there is no hiding place from viral trends that condemn them. 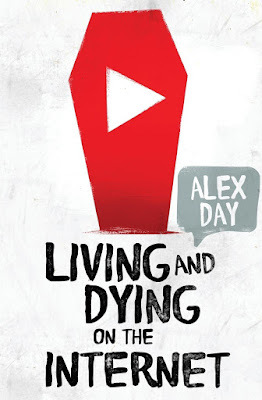 Alex Day was one of the first big UK vloggers whose rise and fall has been told on this blog two and a half years ago. Now he’s penned a book about his experiences- good and bad- on YouTube and beyond. 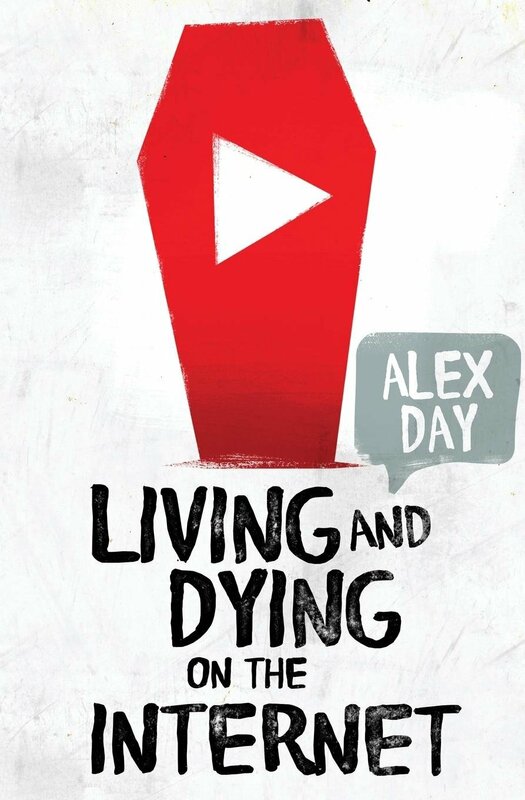 Some people don’t want him to tell his story but it is not just a story about Alex Day. It’s an insider’s view of the explosion of online life and how it has evolved. It’s also the story of a public figure being vilified over behaviour that, while bad, never saw him charged or convicted of anything yet in the eyes of thousands he is someone who did things that he didn’t do or was never even accused of. In the days when even the US President boils complicated political issues to a Tweet it is a timely if harrowing account of what it’s like to be on the receiving end of the Internet `deciding` something. 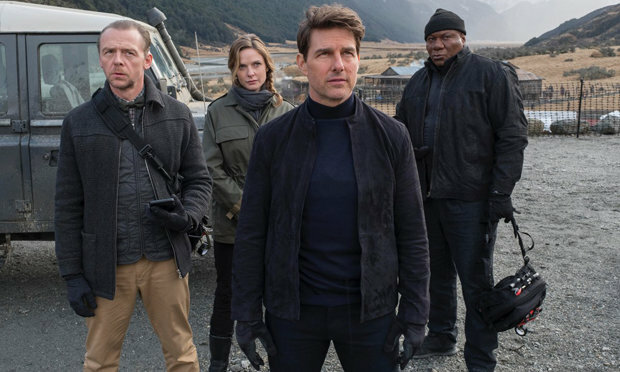 Anyone who liked the previous Mission Impossible movies will find tons to enjoy in this latest – and possibly best yet- entry in cinema’s most gymnastic franchise. 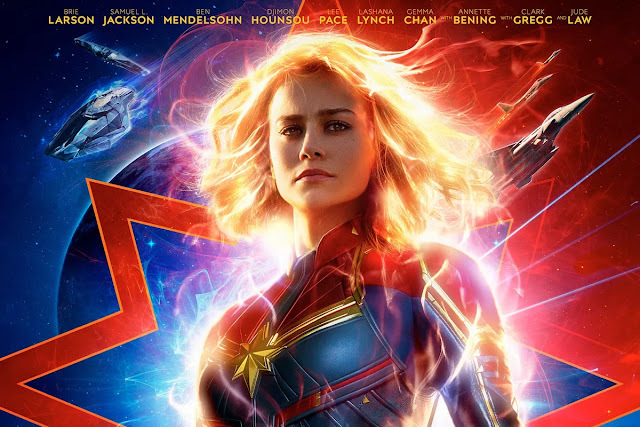 There may be no superheroes in these films but plenty of superheroic feats. As ever Tom Cruise has several signature stunts where you can tell it’s him leaping, dangling, balancing, falling or otherwise risking life and limb in the case of art. Bone cracking fight scenes are edited with whip sharp speed and there are the expected plot twists and of course masks! "You're not going up there are you? "He is" "Yes I am" "Wonder when the bus back is?"